PHP array_chunk Example | array_chunk Function Tutorial is today’s topic. 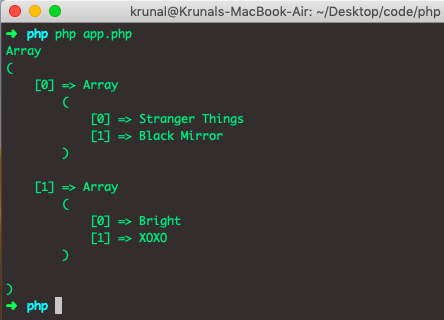 I am using PHP version 7.2.14 for this example. The array_chunk() function splits the array into chunks of new arrays. It returns the multidimensional indexed array, starting with index zero, with each dimension containing size elements. The last chunk may contain less than size elements. The syntax of array_chunk() function is following. An array parameter is required which specifies an array to use. The size parameter is required which is an integer that specifies the size of the chunk. The preserve_key parameter is optional. Possible values. true – Preserves the keys. false – Default. Reindexes the chunk numerically. The output is multidimensional arrays in which each chunk contains two elements. We can access those elements using the following way. Let’s take an example where we preserve the keys. In the above code, the third argument preserve key is passed as true therefore the index of elements in each chunk is the same as their index in the original array from which this chunk is created. We can access the individual’s age using the following code. 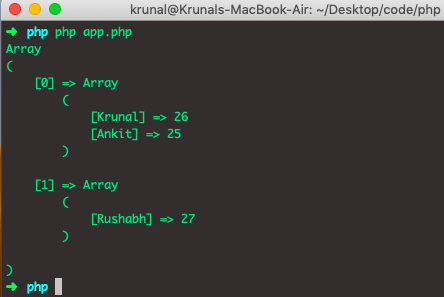 Finally, PHP array_chunk Example | array_chunk Function Tutorial is over.